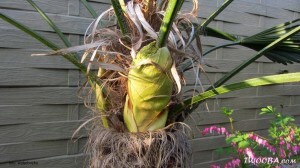 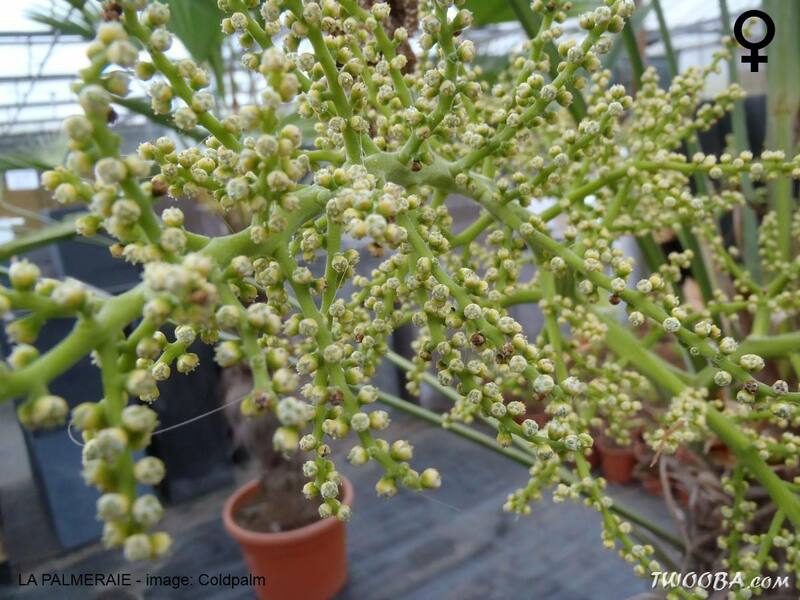 Trachycarpus: is it a male or a female? 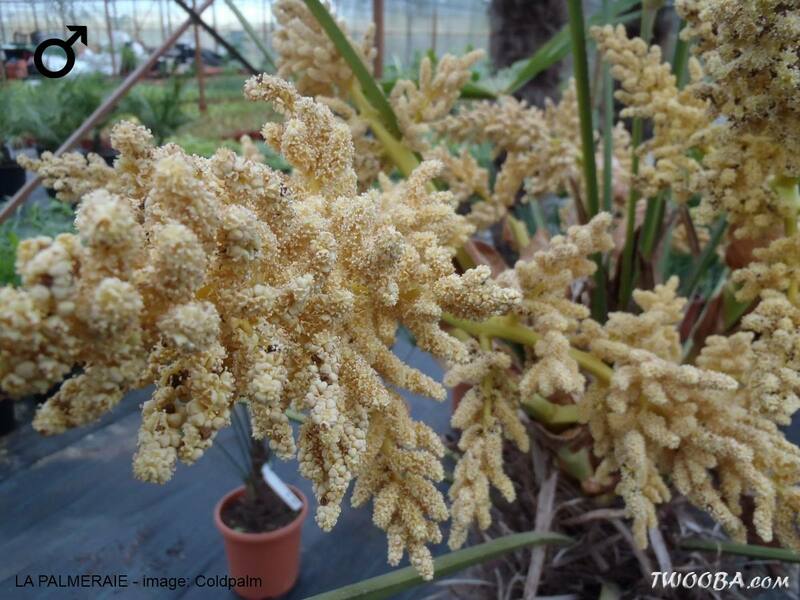 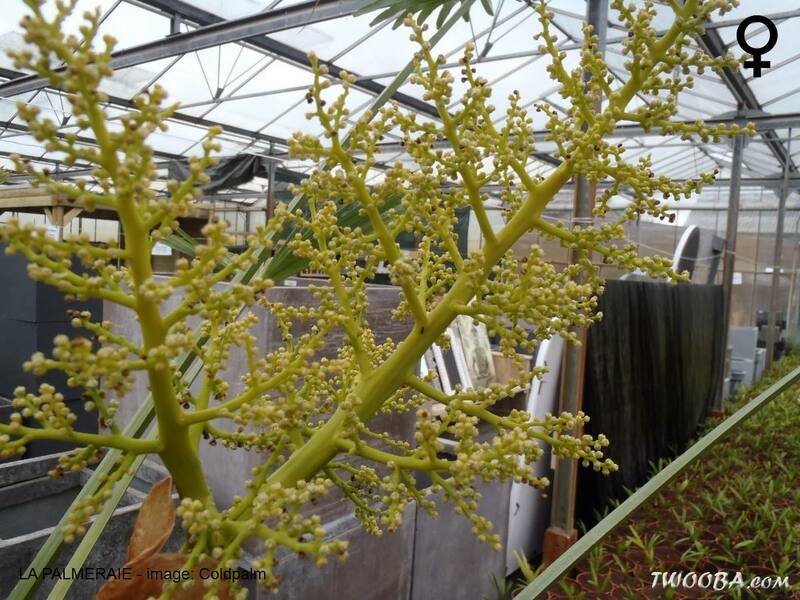 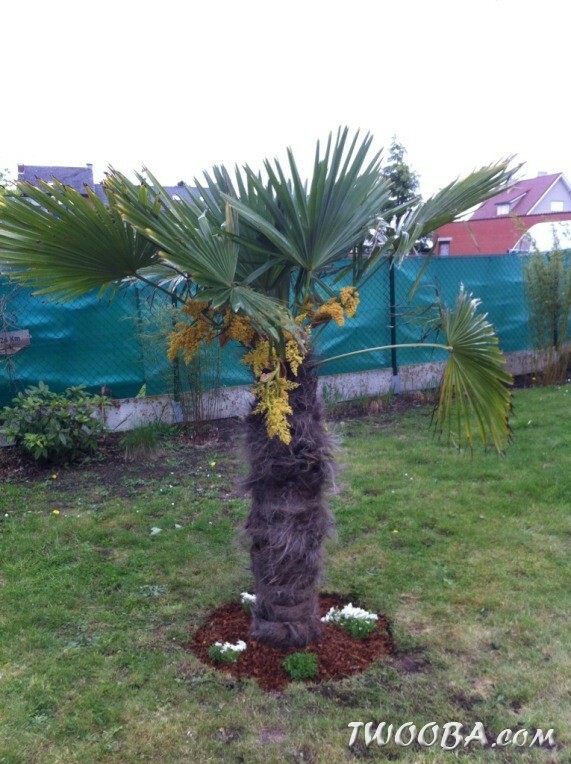 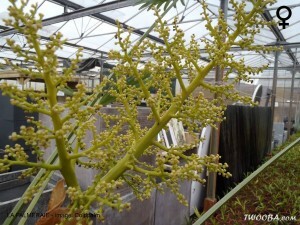 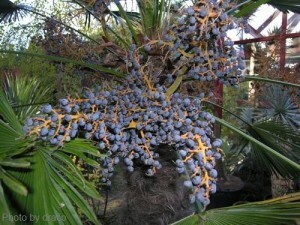 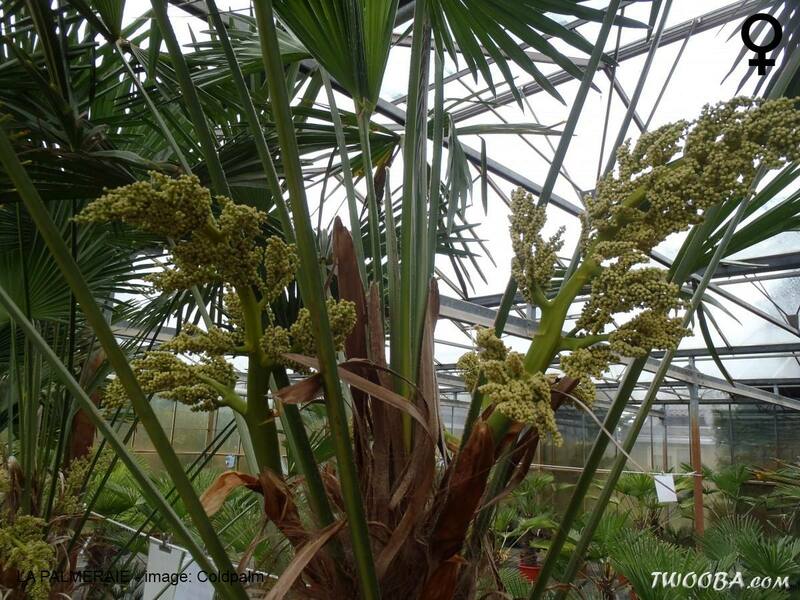 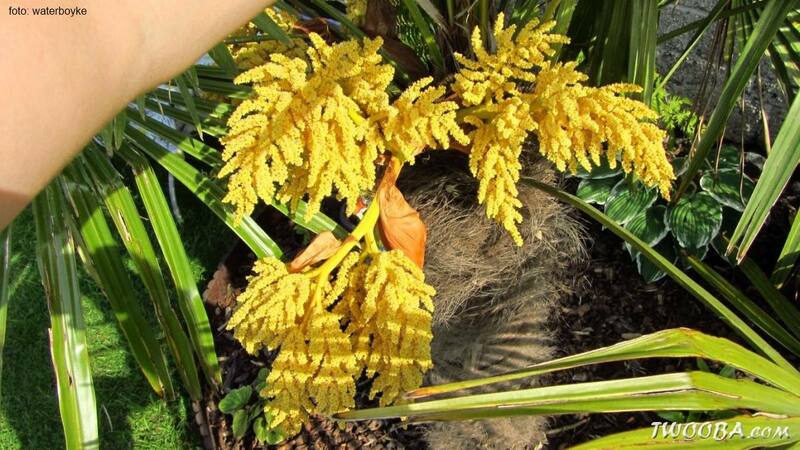 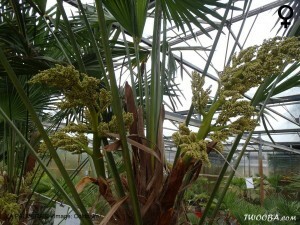 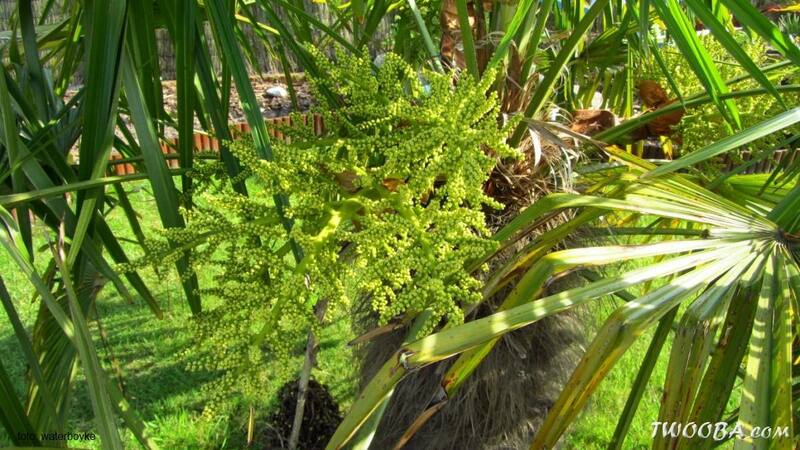 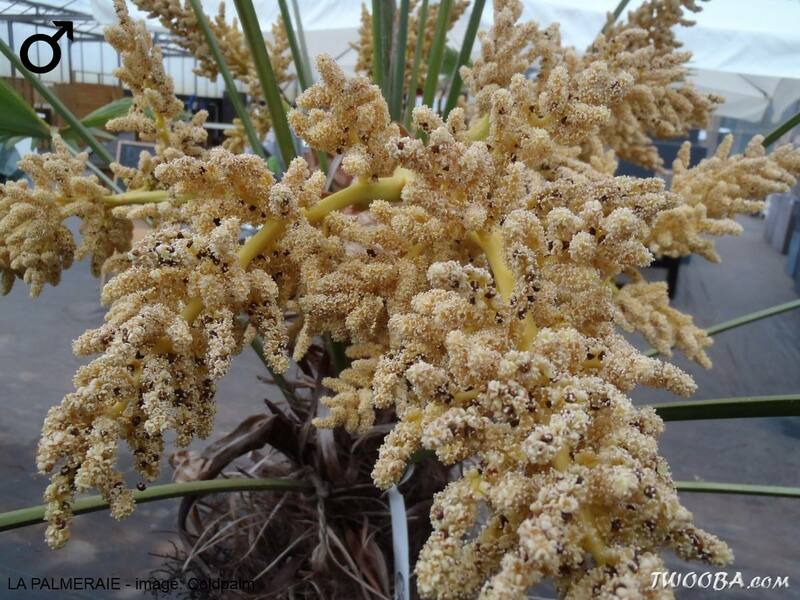 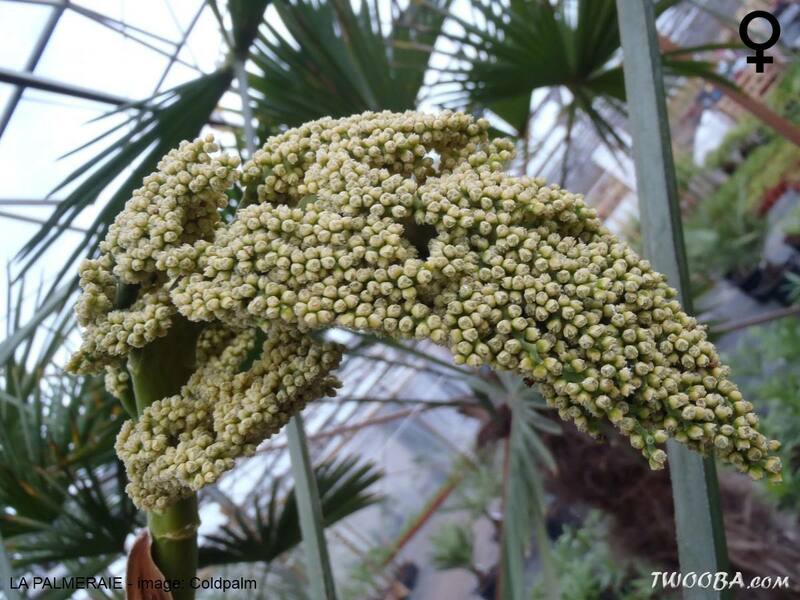 Spring is the moment when this most populair palm species develops its inflorescence. 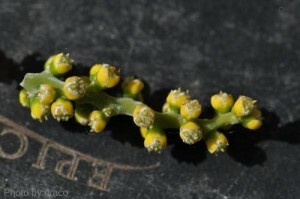 Just below the leaves a typical yellow bud will appear. It’s not only beautiful to see and even a sign that the palm is doing well, it’s also the moment by excellence to determine whether it’s a male or female. 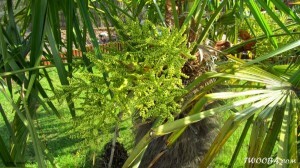 The difference is easy to see. 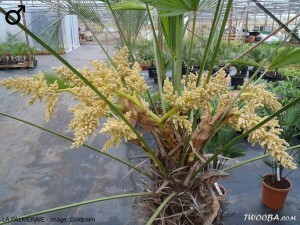 In this article we show them side by side. 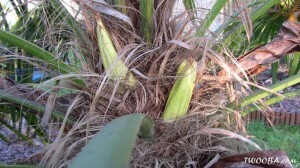 Males do flower earlier in spring, the flower bud is much wider as well. 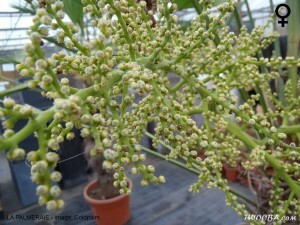 The male inflorescence is much more compact and woolly. 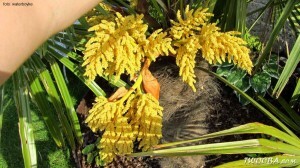 When you hit it, the pollen (yellow powder) falls down. 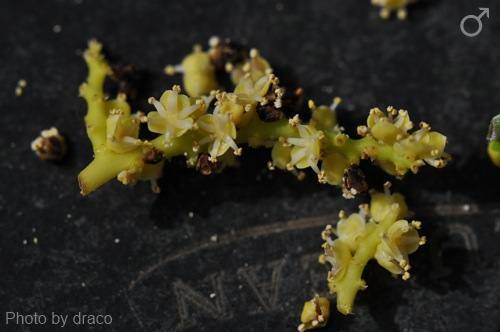 The female inflorescence is much more branched and the little flowers look like corn grains. Because often the flowers are being confused with the seeds here a picture of the real seeds. 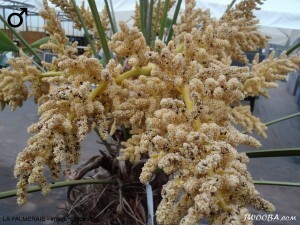 To obtain seeds, a successful fertilization of the flower must first have taken place.